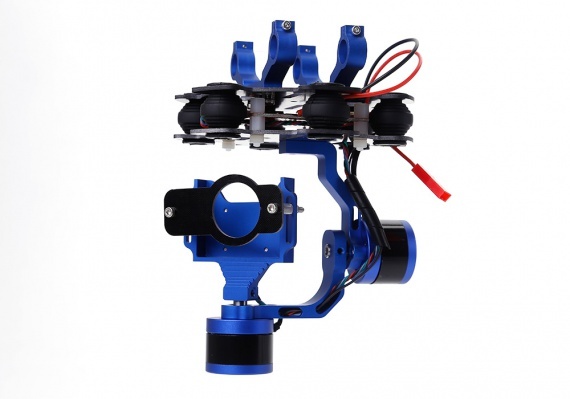 This is a good time for the RC hobbyists to buy a new camera gimbal! You can be easily to control and operate your camera when you installed the cool gadget on your airplane. This AGM camera gimbal is coming from the factory setting, everything goes well, you are just required to install it on your airplane and then to have it work in the air. The camera gimbal is working to maintain its position, panning and tilting as well as instructed. Mount the handle bar into the gimbal mount and tighten the handlebar mounting screws M2.0 x 6(4 pcs) with the hexagon screwdriver. AGM factory direct sell the camera gimbal to worldwide RC modlers which ensure to provide real low price and full manufacture warranty. The cool gadget is now for sell at USD $130, USA customers can enjoy free shipping. And other customers also can enjoy AGM low rate shipping fee.